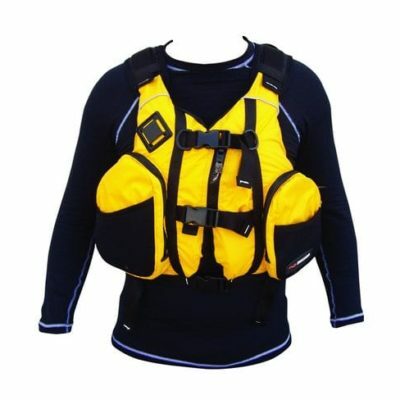 Kokatat Ronin Pro; a trimmed-down profile and unique internal harness that provides a comfortable, secure fit. 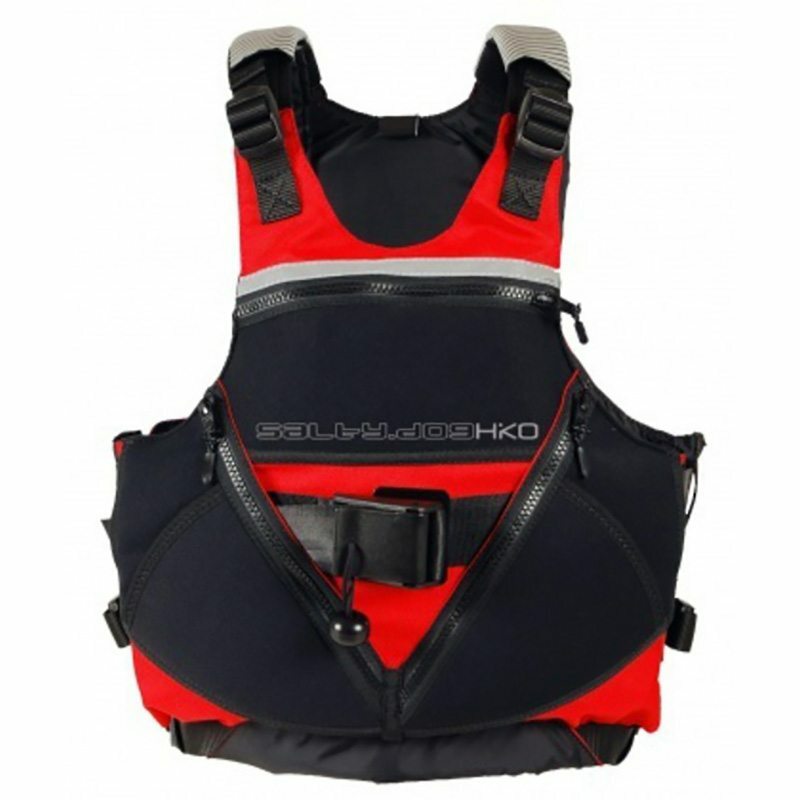 It has a full spinal and improved side protection. 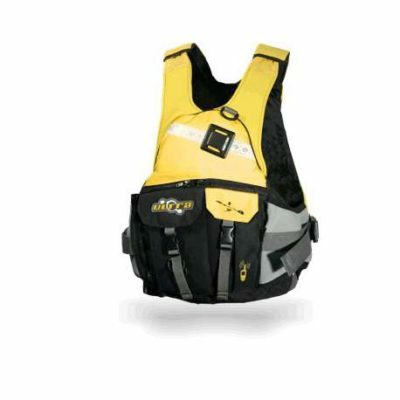 The Ronin Pro is a great choice for whitewater and ocean paddlers. 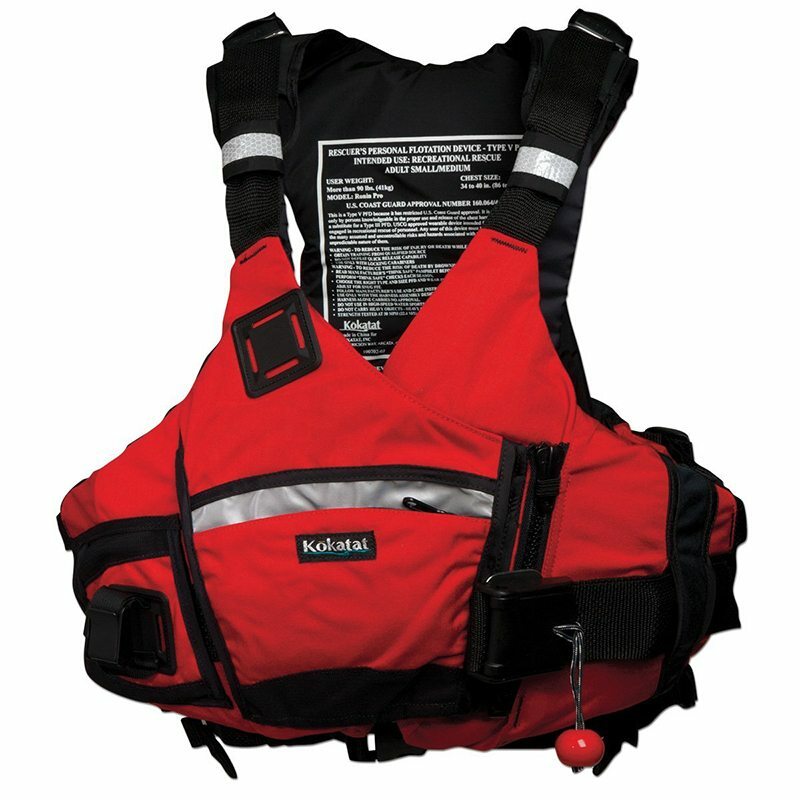 Reinforced adjustable, thermal molded foam padded shoulders with non-slip Hypalon grip panels, an integrated sleeve for a cowtail or small tow tether, and superlative construction methods set a new standard in PFD design.